What is the Care Act 2014? 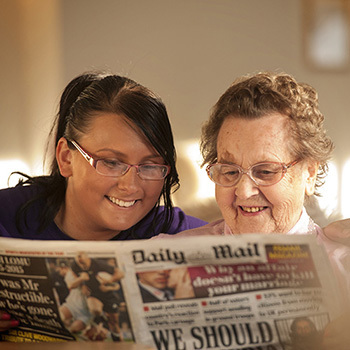 The Care Act 2014 was an Act of Parliament intending to reform the way the adult social care system works in England including how care is delivered. T he aim of the Care Act 2014 was to bring together a number of separate pieces of health and social care legislation. Changes implemented in 2015 included a range of new obligations for local authorities around the provision of information and advice, the integration of care and support with health-related services and eligibility assessments. It also strengthened the rights and recognition of carers in the social care system. Some reforms, such as the changes to the Care Quality Commission (CQC) inspection and rating processes, had already been introduced, in October 2014, improving the way health and social care is regulated. Plans to cap individuals’ care costs were outlined in the Care Act 2014 but Government announced in November 2017 that it would be consulting on the way forward. Government is expected to publish a green paper on care and support for older people by summer 2018. The paper will “set out plans for how government proposes to improve care and support for older people and tackle the challenge of an ageing population”. If you or a relative has care needs, the Care Act is likely to affect you and you’ll need to know how care is changing in the future and how it could affect you.